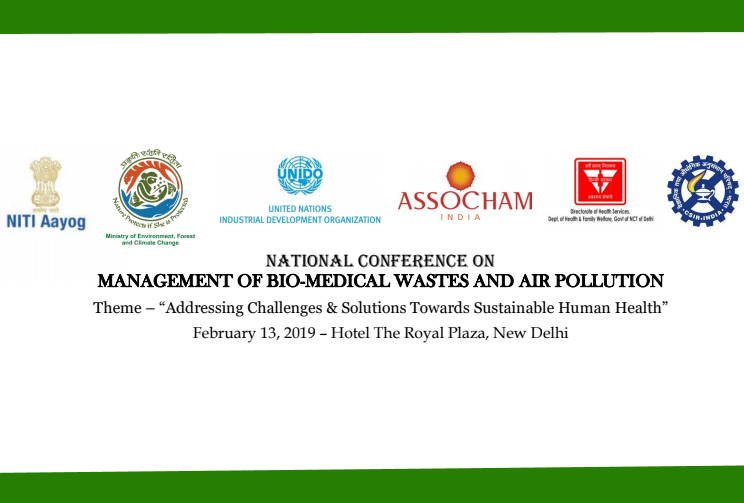 ASSOCHAM’s National Conference on “Management of Bio-Medical Wastes and Air Pollution” with a Theme on – “Addressing the Challenges and Solutions towards Sustainable Human Health” to be held on 13th February 2019 at Hotel The Royal Plaza, New Delhi. This conference is co-organized by Directorate of Health Services, Government of N.C.T. 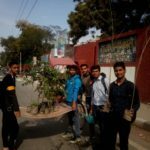 of Delhi, and is supported by NITI Aayog, UNIDO, Ministry of Environment, Forests and Climate Change; and Council of Scientific and Industrial Research, Government of India. This conference will showcase the very best in cutting-edge technology solutions and will bring together over 150 delegates and speakers representing cross-section of stakeholders – business leaders from top hospitals and health care systems, eminent experts in sustainable environment technology, government and regulatory authorities, business innovators, consultants and leading global industrial bodies to share a common platform for discussing challenges being faced in effective management of Bio-Medical Waste & Air Pollution and the solutions that can be leveraged at scale to support the sustainable human health. Scientific India Magazine and Geospatial Media are the official media partners for the conference. Please reach out to Mr. Shashank Batra (shashank.batra@assocham.com) for any queries.